Are You Still Thinking About Antlers? Antlers fascinate us don’t they? We name bucks based on their antler formation. We create stories about fights hit list bucks were in that ended with broken tines. We form connections with individual bucks as we watch their antlers grow over the years and sometimes decline. There’s just something about antlers that draws us to them. That’s why we love this time of the year. All summer the GrowingDeer Team watched antlers grow on Reconyx cameras, once again meeting old and new deer. And now as daylight hours begin to lengthen and hormone levels drop, the bucks we’ve watched all year begin to shed their antlers. 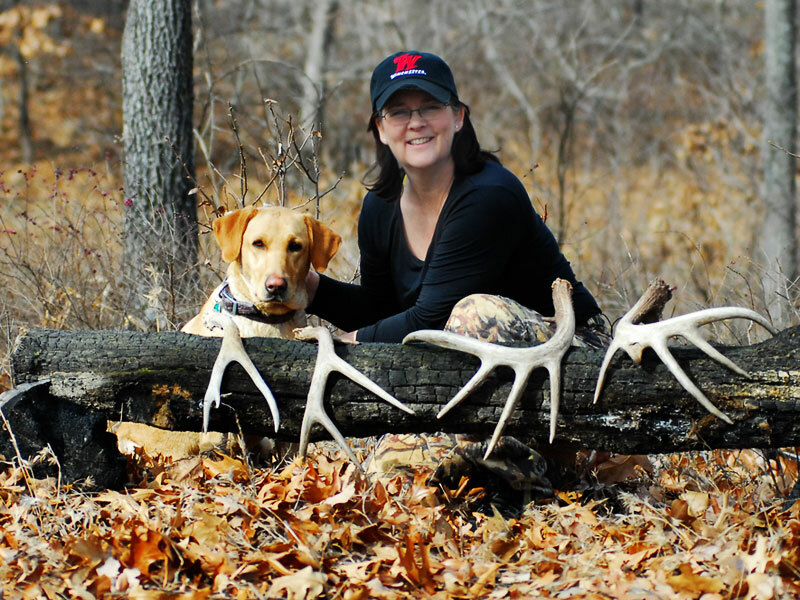 Tracy and Crystal can’t wait to start hunting sheds. Over the next few weeks many antlers will be hitting the ground and that means shed hunting! You may have already been out looking for sheds and had great success. Others of you may not have found any yet, but don’t lose heart. If the deer in your area are healthy and have few predators, bucks may hold their antlers longer, many bucks at The Proving Grounds still have their antlers. Just be patient and keep searching. You can bet the GrowingDeer Team will be pulling on our LaCrosse boots soon and hunting the antlers we’ve watched grow all year. For more information of where and when to look for sheds, check out episodes #123 and #116.